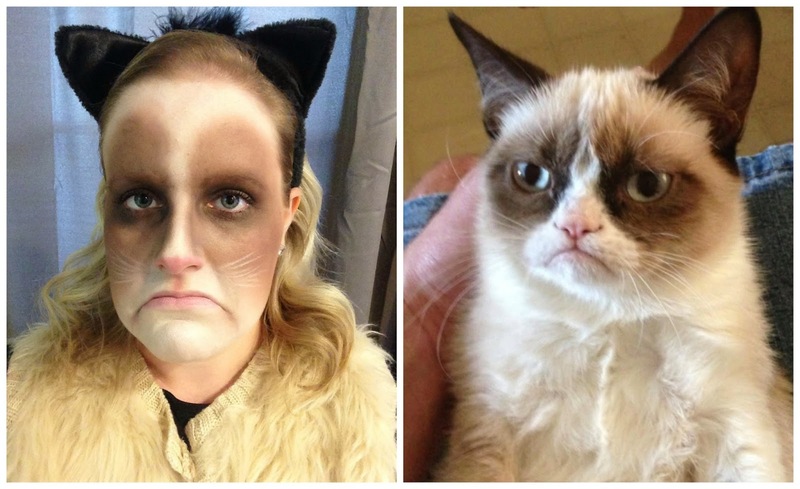 Here's a side-by-side comparison of me with the actual Grumpy Cat "aka" Tardar Sauce. Like last year's costume, this one was more about the makeup than anything else. I just wore a black shirt, jeans and a faux fur vest that I had that just happened to be sort of Grumpy Cat colored. I bought the cat ears and a cat tail from a party store. So, for less than $20, I had a great costume! The makeup was inspired by this picture on Pinterest. The makeup is some white costume/Halloween makeup plus lots and lot of bronzer and brown eyeshadows. The pink on the nose and the accentuation of the frown were all done with a little blush. The whiskers were the white makeup drawn on with a thin liner makeup brush. At the last minute, I decided to add a little sign to emphasize the grumpiness of my costume and I think it went over well. It says "I Hate Halloween. And you." 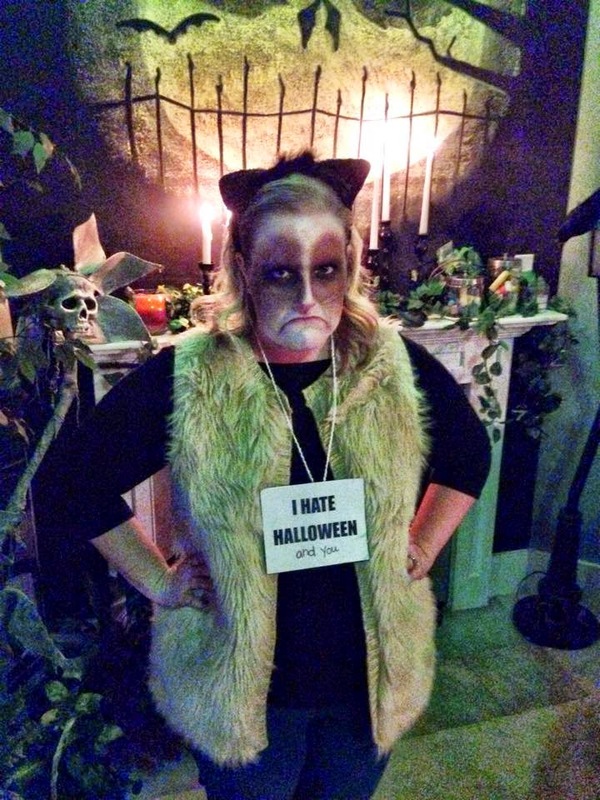 I loved being Grumpy Cat. But it was hard to try and stay grumpy or frown the whole night...so I just did it for pictures. HA! Amazing job on the costume! Win! wow..amazing..this make up is incredible.. Thank you! I was very pleased with how it turned out as well. This is so hilarious. I love it.